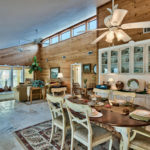 Live south of Scenic 30A in this five-bedroom, three-bathroom home in Blue Mountain Beach, FL, with views of the Gulf of Mexico and private, deeded beach access. 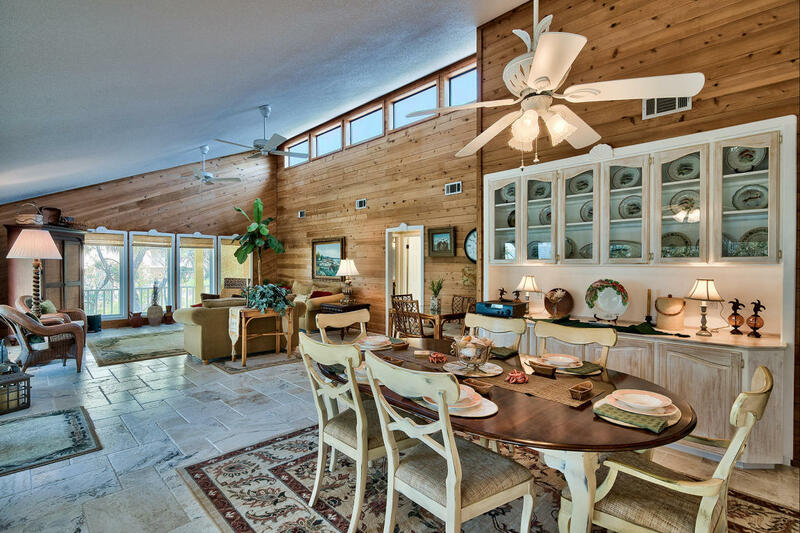 This amazing property offers ultimate versatility for a rental home or full-time residence. Both levels are separate, self-contained homes. Downstairs you will find two bedrooms, a full kitchen, open living and dining areas, a full bathroom and tile floors throughout. Upstairs there are three more bedrooms, two full bathrooms, another full kitchen and an open living and dining area. 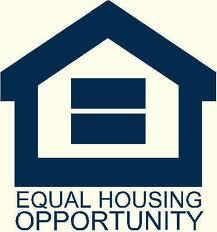 Rent out both separately or together or live upstairs while you rent out the downstairs to make some additional income. The large lot can accommodate a pool if desired. 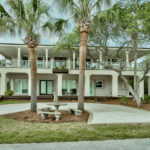 The home is just steps from the deeded beach walkover. The house comes with hurricane shutters already installed, as well as a security system and is being offered fully furnished. 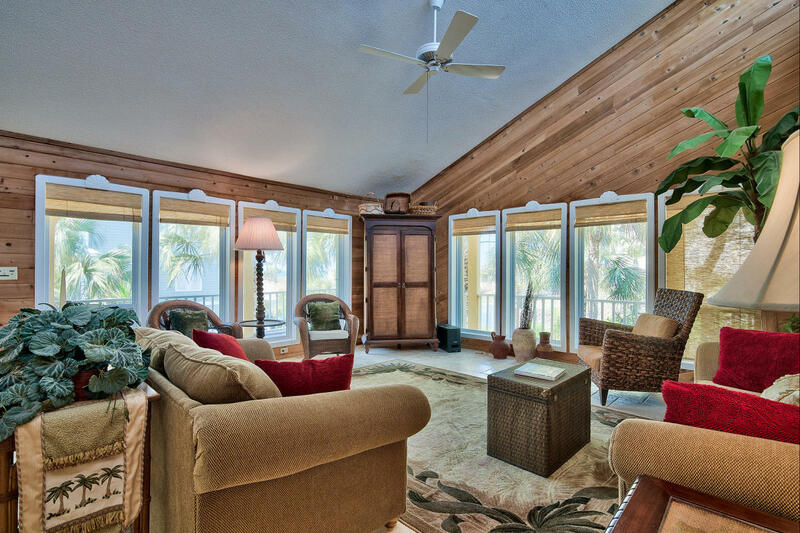 Relax and take in the warm breeze from the Gulf on the two wrap-around porches on both levels. A three-car, attached garage ensures you will have plenty of space for parking and your beach gear. There is also space for three cars in the driveway and a gravel parking pad out front. There is a separate laundry room with full size washer and dryer and tile floors. The outdoor shower is ideal for washing off after a long day at the beach. 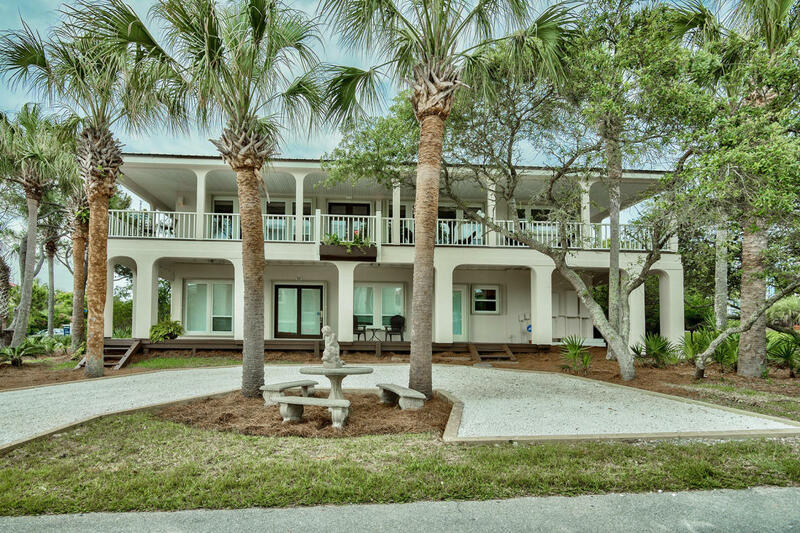 The gated beach access will offer you wide, white beaches to enjoy year round. This home is close to Gulf Place Town Center with all its shopping, entertainment and restaurants just steps away.